Last Wednesday, I prepared about four of these. 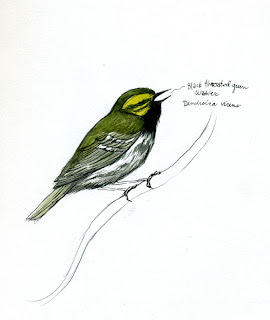 Black-throated green warblers breed in the coniferous forests of the Northeast. Most of the ones I worked on turned out to be females. The females lack the dark black patch on the throat that distinguish the males. It's unfortunate that so many birds perish coming through urban areas during migration season. There is speculation that some breeds may have already altered their breeding habits in order to compensate for these annual losses. It's as if they have evolved to accomodate the losses from a natural predator. 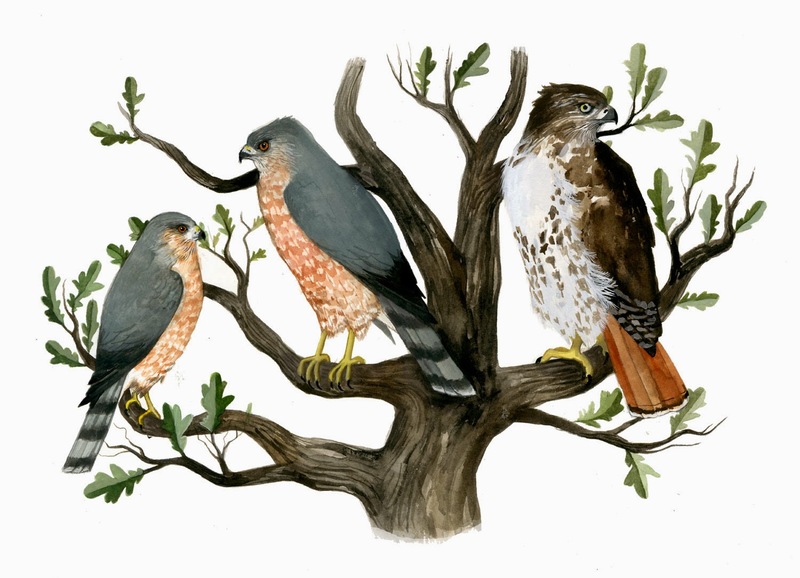 Many of the birds that collide with McCormick Place and other downtown buildings are young, and thus will never breed. You can tell what is migrating through the area at any given time during the season by just from what is brought into the museum by the Chicago Collision Monitors morning collecting rounds. One week I'll come in and there will be an overwhelming number of Fox Sparrows, the next week there will only be a couple of Fox sparrows and a predominance of hermit thrushes, yet another week will yield high numbers of woodcocks, and so on.